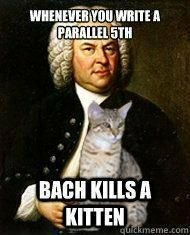 AP® Music Theory is designed to prepare students for success in music theory at the college level. It focuses on developing both written and aural (listening) skills. Students will spend time developing dictation and sight-singing skills as well as mastering written theory and compositional techniques. Students who enroll in this class are encouraged to have participated in a performance music class at a high level. "Best class I have ever taken. The way Mr. Fogderud teaches it makes it super fun and cool to learn." "A really fun environment and a great opportunity to learn a LOT of new information and to put it to use in our music ensembles." "A hoot and a half. Hands down, my most favorite class I've ever taken." "Definitely my favorite class! When I had to work on difficult areas, it didn't bother me because I enjoyed the class." "A good class for learning skills to reach personal music goals. (Writing, reading, memory)"
"Really fun and definitely worthwhile. Although difficult, I suggest it to all top ensemble players." "Pretty cool. I never didn't want to go to theory this year." "Fantastic! Totally worth it and extremely educational and fun." "One of the best classes I have or will take. 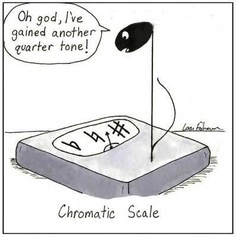 It really helped me with all of the music I practiced at the same time." 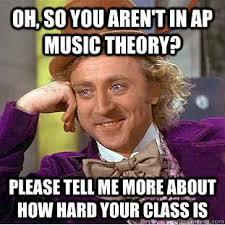 "AP Music Theory was one of my favorite classes I took this year. 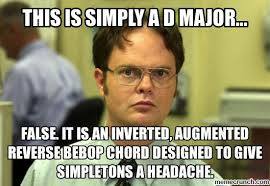 I'm very happy that I took the class and am excited to potentially dive deeper into music theory." "Super fun. My favorite class in high school besides choir, of course. :)"
"Fun, good experience, 10/10 would recommend, learned so much about music and the way it works. It has helped me in my understanding of literature and learning new pieces of music." "Fun, informative and probably the best class I took my senior year."